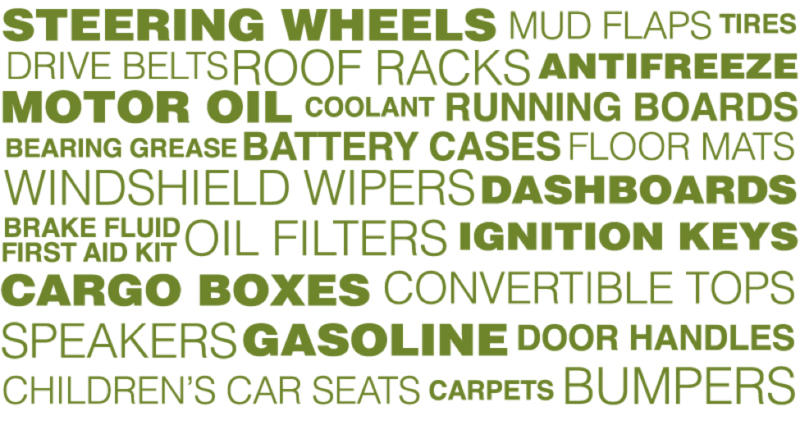 There’s more than gasoline in your vehicle! From the tires, mud flaps and windshield wipers outside, to the carpets, seat covers and steering wheel inside, to the oil filter, battery case and fan belt under the hood, your car is an oil and gas machine. Plus we drive on asphalt, steer clear of safety cones and slow down for temporary speed bumps, all made with oil and natural gas.